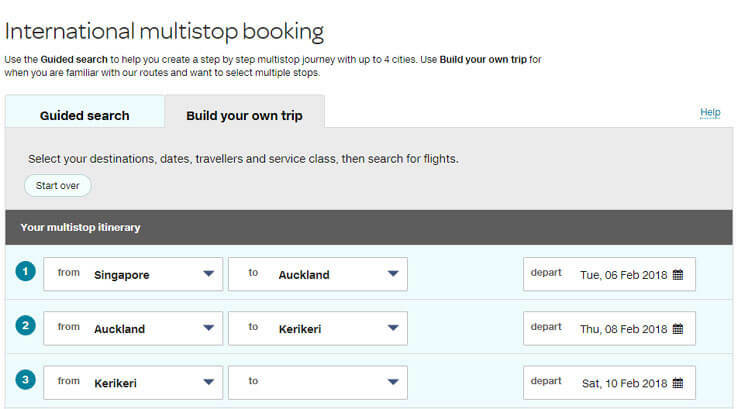 How to complete a Multistop booking? Use our Multistop booking tool and merge multiple trips into one itinerary! Multistop booking allows you to explore multi-destinations and multi-cities with only one booking. 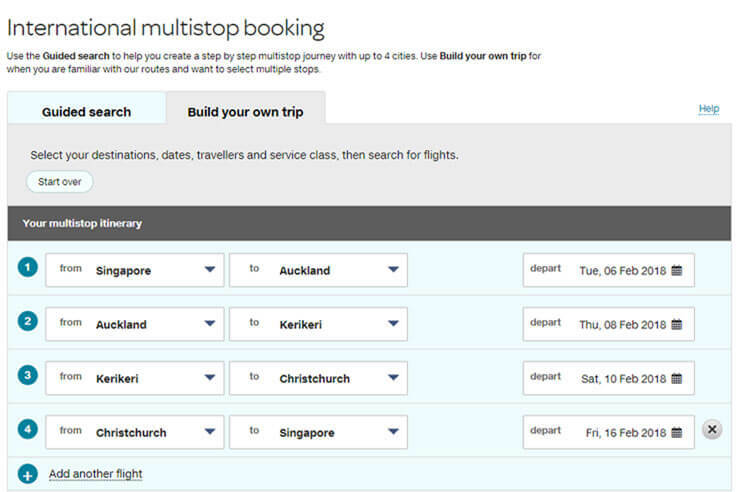 Air New Zealand Multistop booking tool offers flexibility and you can customize your itinerary the way you prefer! Select Build your own trip tab. 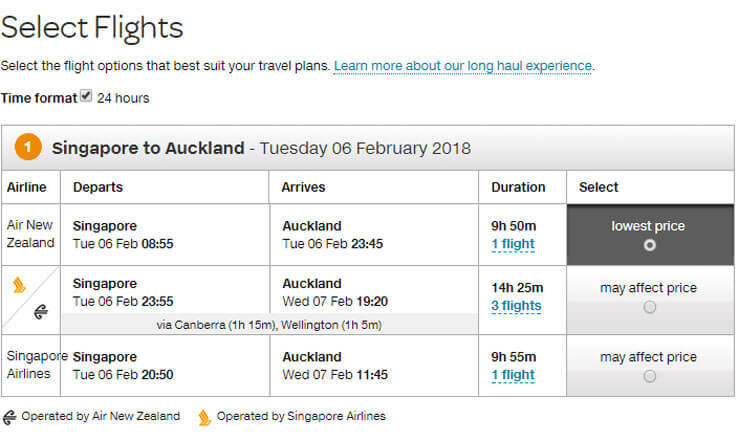 Thereafter, select origin destination (eg: Singapore) and arrival destination in New Zealand (eg: Auckland). Select your departing dates from point of origin. Select departure and arrival locations within New Zealand, eg: from Auckland to Kerikeri. And select departing date. Repeat step 2 for row 3 and row 4 if you have more New Zealand destinations to stop and explore! Do click on '+' to add another flight leg. To complete your search, select passengers, service class and promo code (if any), and continue to click the Search button. Select your flights - preferred flight time and flight duration. Our system automatically selects 'lowest price', however, it may not be your preferred choice so please select your preferred flight to New Zealand. Once completed, please proceed to next steps 'Enter passenger details'.